The art of fabrication takes plenty of imagination, innovation, engineering technology, and good old-fashioned hard work. MK Technologies has a great team of highly skilled and enthusiastic people from a variety of backgrounds, giving our company the experience and flexibility required to tackle any project. We can start with a clean sheet of paper and take care of your design or prototyping needs. We can work with (and often improve) existing designs. We'll tackle one-off fabrication projects or take on small-run manufacturing jobs. But regardless of the job at hand, quality and customer satisfaction are our top priorities. At MK Technologies we thrive on the excitement of developing new things. We take pride in our diverse capabilities, and in the broad range of products we have created over the years. The photos below represent just a small sampling of the many design, fabricating, manufacturing and prototyping projects we've taken on. MK Building Metals is a division of the MK group of companies. 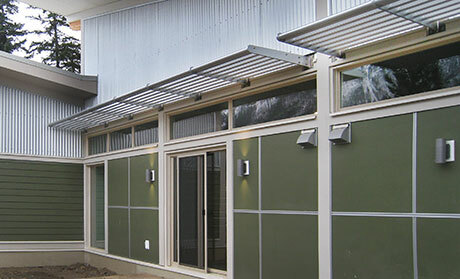 We design, fabricate and install metal products for commercial, industrial and residential settings. 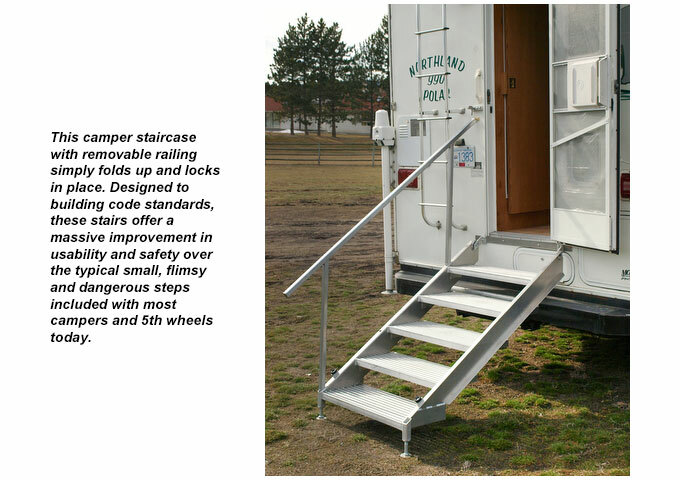 We work with aluminum, stainless steel and steel. MK Building Metals is proud of its' relationship as supplier to general contractors and builders. 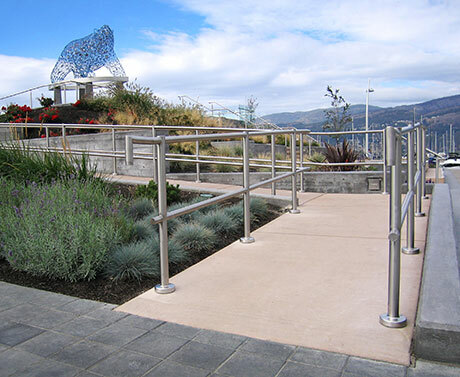 Stainless steel railings line the walkways at at downtown Kelowna's Stuart Park. Aluminum Sunshades look great and keep out the heat. 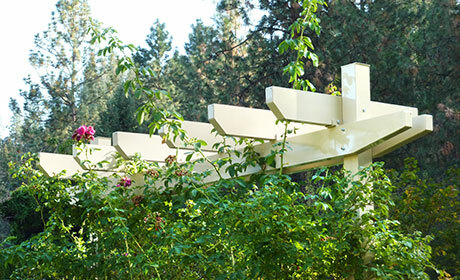 An aluminum arbour provides a home for climbing roses. 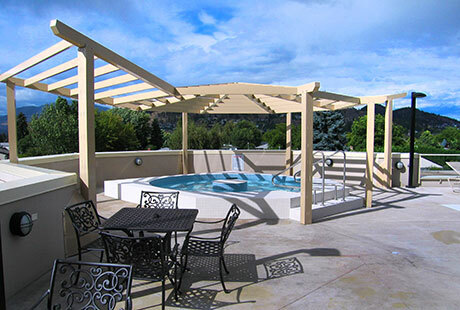 A forty foot diameter aluminum gazebo shades the hot tub at on the roof of Centuria Urban Village in Kelowna BC. 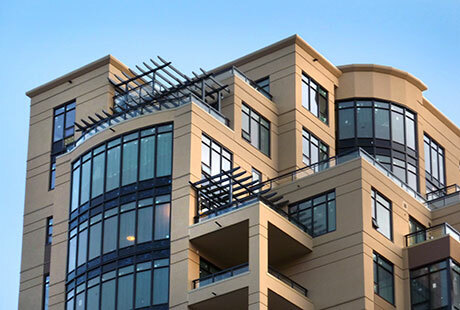 Aluminum pergolas cover patios at The Madison, a 15 story luxury condominium building in downtown Kelowna, BC.